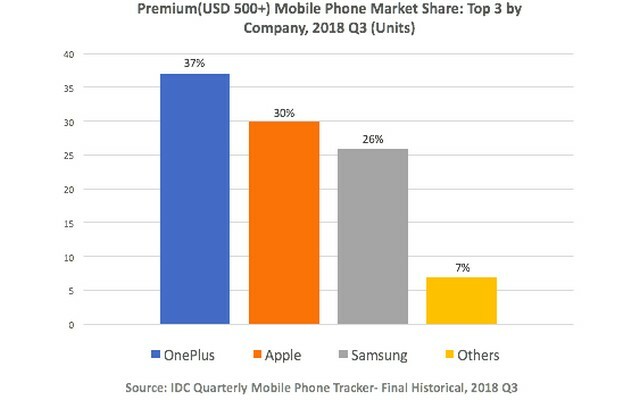 Chinese smartphone maker, OnePlus, topped the premium smartphone segment in India for the second successive quarter during Q3, 2018 after first emerging as the market leader during the previous quarter. According to IDC, the company accounted for a 37 percent share in the premium segment during the three months from July-Sept, riding largely on the popularity of the OnePlus 6. OnePlus was followed by Apple (30 percent) and Samsung (26 percent) at numbers two and three respectively. IDC defines ‘premium’ smartphones as devices priced above $500 (around Rs. 37,000). The report further states that OnePlus clocked its highest ever quarterly shipments in the $400+ segment during Q3, pushing the overall smartphone ASP (average selling price) in the online space to $166 in 3Q18 from $156 in 3Q17. It’s worth noting that Counterpoint had also released a similar report last month, crediting OnePlus with cornering 30 percent of the market in the Rs. 30,000+ segment during Q3 ahead of Samsung and Apple, which came in at numbers two and three with 28 percent and 25 percent respectively. 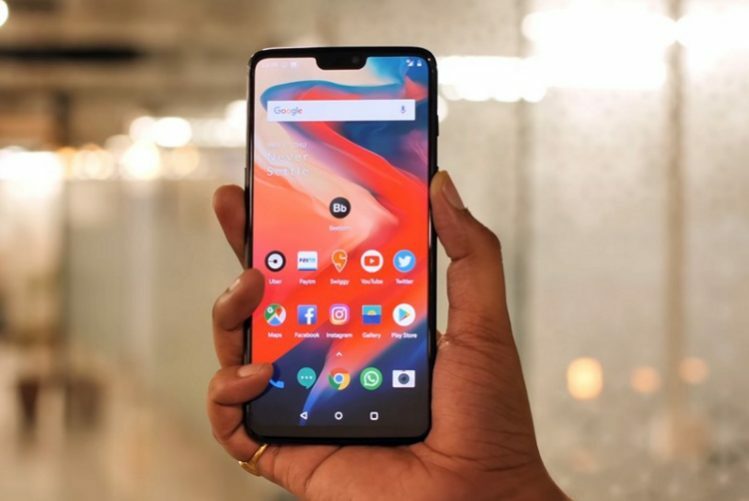 OnePlus 6 has been superseded by the OnePlus 6T that comes with a number of improvements over its predecessor, including an in-display fingerprint scanner and a minimal teardrop notch that houses the selfie camera. Starting at Rs. 37,999, the 6T is a bit pricier than the last smartphone, but is believed to have well-received by consumers, with people said to be clamoring to get their hands on the device. OnePlus has also since launched a ‘Thunder Purple Edition‘ that will be available for purchase starting tomorrow, November 16, on a number of online and offline retail outlets, including Amazon, Oneplus.in, Croma, Reliance Digital and all OnePlus exclusive brick-and-mortar stores.